Discussion in 'Pedal Effects Gear Emporium Archive' started by brianm99, Apr 20, 2016. 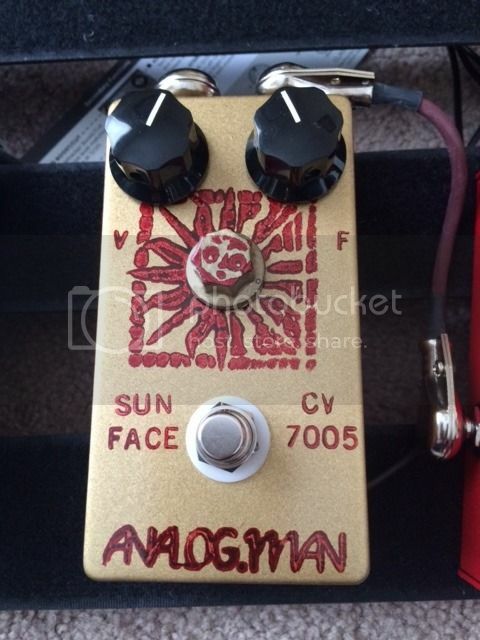 AnalogMan Sunface with Sundial - Original owner. Never played outside of my smoke-free home. Includes the Mullard CV7005s. Sundial. Larger enclosure with top jacks. Velcro on the back. $220 shipped within the US. Strymon Flint - Excellent condition with original box. Velcro on the back. $SOLD$ within the US.